The Bissell BarkBath is a faster, easier and less messy way to bathe your dog! Portable dog bathing unit allows you to give your dog a bath anywhere in the house. No need to be near a tub or outdoor hose! 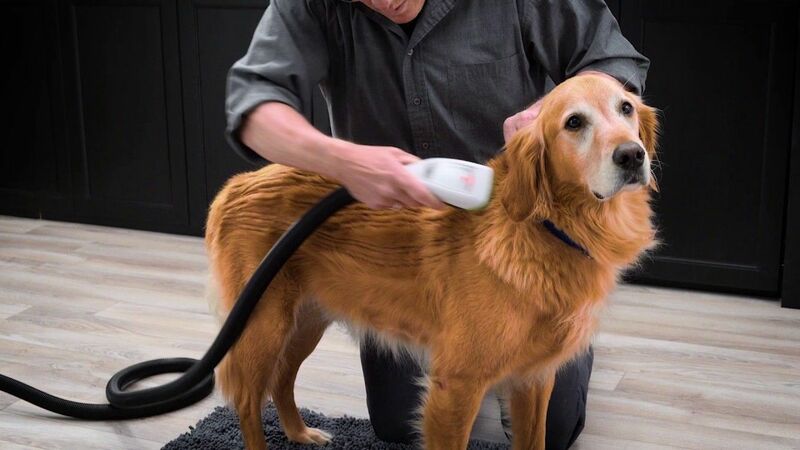 The patented nozzles go beneath the fur to wash from the skin up while soft suction pulls water, dirt and odors away. 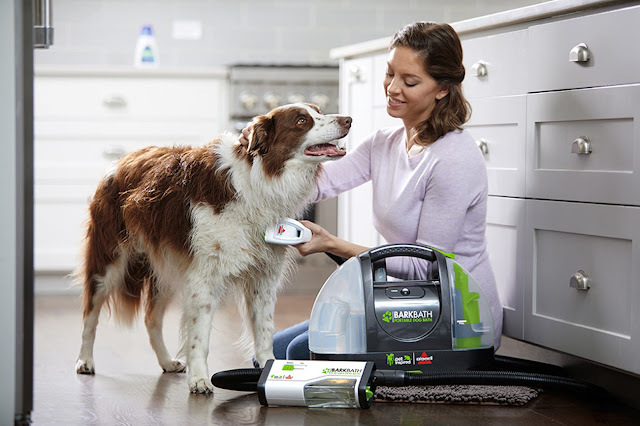 Clean your dog the easy way with the Bissell BarkBath Portable Dog Bathing Unit. This all in one system uses up to 50 times less water than using your tub at home. Utilizing just 48 ounces of water, the BarkBath works efficiently and intelligently. Totally portable, the built-in nozzles work to get in and around all fur types for a thorough clean. In addition, the system stores dirty water in a separate tank.